Network layer multicast is a highly efficient one-to-many transmission mode. Data rates supported by different group members may differ if these members are located in different network environments. Currently there are roughly two types of methods solving the problem, one is limiting the data rate so that every group member can sustain transmissions, and the other is building multiple trees to increase the provision of network bandwidth. The former is inefficient in bandwidth usage, and the latter adds too many states in the network, which is a serious problem in Software-Defined Networks. In this paper, we propose to build localized extra path(s) for each bottleneck link in the tree. By providing extra bandwidth to reinforce the bottleneck links, the overall data rate is increased. As extra paths are only built in small areas around the bottleneck links, the number of states added in the network is restrained to be as small as possible. Experiments on Mininet verify the effectiveness of our solution. Siyuan Tang earned her bachelor’s degree in computer science from the University of Science and Technology of China (USTC), China in 2010. From 2010, she continued her study in computer science in USTC as a PhD student. Her research focuses on the highly efficiency multicast transmission in software-defined networking. Bei Hua is a professor in the School of Computer Science and Technology at University of Science and Technology of China (USTC), China. She received her PhD degree in computer science from USTC in 2005. Her research interests include multicore computing and system optimization, network function virtualization, and software-defined networking. 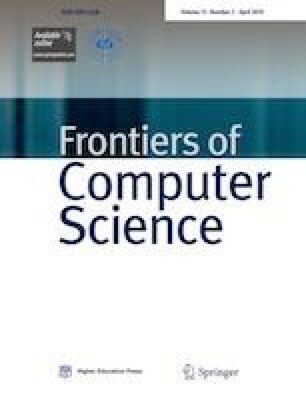 Supplementary material is available for this article at https://doi.org/10.1007/s11704-017-6415-z and is accessible for authorized users. This work was supported by the Strategic Priority Research Program of the Chinese Academy of Sciences (XDA06011201), and Jiangsu Future Networks Innovation Institute for Prospective Research Project on Future Networks (BY2013095). Supplementary material, approximately 253 KB.